Anglers Marine is the west's best boat dealership, offering several bass boat lines including Ranger Boats. They are also one of the premier Mercury Outboards Service Centers as a recipient of Mercury's CSI Award for outstanding customer service. 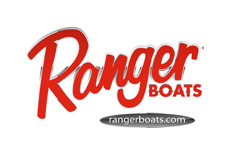 Ranger Boats offers the finest bass boats on the market. 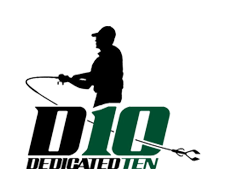 They're famous and revered among anglers across the United States for their oustandanding "signature" quality. Rangers are designed, built, and tested by fishermen, for fishermen. Mercury is the world leader in marine propulsion and technology. Mercury provides engines, services, and parts for all sorts of marine applications, including bass fishing. I rely on my Mercury Optimax outboard to get me from the ramp to each fishing spot and back again, each and every day I go fishing, and it never lets me down. Phenix rods offers incredible quality and uncompromized craftsmanship.For a variety of technique specific rods for both freshwater and saltwater, give Phenix rods a look! What do I have in common with country music superstar Kenny Chesney? Our Costa Del Mar sunglasses! I demand a lot from a pair of sunglasses, they have to be comfortable enough to wear all day in a variety of extreme conditions. They have to protect my eyes from the sun, the wind, the rain, and even fishing hooks. And, on top of all that, they have to perform flawlessly so that I can see things below the water that my competitors can't. I wear Costas because they deliver on everything I ask a pair of sunglasses to do. In addition to bass fishing, I also spend a lot of time in rivers and streams guiding fly fishing clients in the Northwest. Simms provides a wide-range of products from footwear and waders to fishing vests to ensure I can provide the best possible service to my clients without worrying about my apparel. 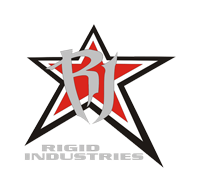 Rigid Industries, located in Mesa Arizona, is the industry leader and originator of the most efficient LED lighting solutions. Their patented Hybrid and Spector Optics systems and state of the art electronics technology makes for LED products second to none. While providing the best product on the market, they still maintain class leading affordability with a US made product. 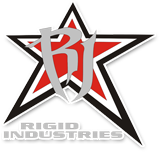 Rigid Industries is the pioneer of the forward projecting high intensity LED light bars. Their patented technology allows Rigid Industries lights to project up to 40% more Lux while drawing up to 50% less power than any competitor. Daiwa has been a world leader in the fishing industry since their first reel came off the assembly line in 1955. Today they manufacture high quality reels, rods, lures, fishing line and other fishing accessories. 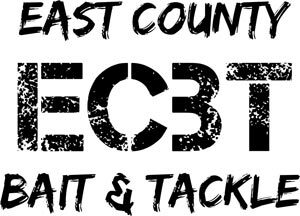 Fatsack Tackle produces spinnerbaits, jigs, buzzbaits, swim jigs, and vibrating jigs featuring excellent components, fantastic attention to detail, and a wide array of premium color combinations. Their innnovative Ultra Mag Spinnerbait features a first of its kind hidden weight system to give you a heavy and easily castable spinnerbait that maintains a small profile. The Ultra Mag also features an interchangeable blade system with stainless steel inner clevis to make easy blade changes without risk to damage the bait. ENGEL Coolers has designed a line of heavy duty coolers that are built for more than just keeping things cold. Rugged, Durable, High Performance Marine Coolers and AC/DC Overland Fridge Freezers are just some of the products that we have become known for. If your outdoor adventure or recreation require a heavy duty cooler solution, look no further. When the heat cranks up, ENGEL is here to cool things down. Adventurers, fisherman, hunters, and campers the world over rely on ENGEL high performance, heavy duty coolers. 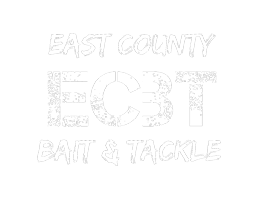 East County Bait & Tackle specializes in freshwater tackle, and they have a ton of it. Their employees are experienced local anglers well versed in the latest and hottest tackle trends. They’re conveniently located in Lakeside, right off the 67 and Mapleview Intersection.